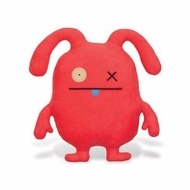 This is one very special UGLYVERSE EDITION UGLYDOLL. These limited edition versions of your favorite UGLYS are produced for one year. After that, they're all gone. But no worries, next year's UGLYVERSE EDITION isn't far behind.